Performance appraisals are important issues that organizations need to consider for the effective management and evaluation of staff. It takes into account the development of the individuals, the organizational improvement as well as its performance. All these factors are important to meet the business plans. Therefore, we have different methods which cater for a good performance appraisal; among which we have critical incident method, graphic rating scales, management by objectives, performance rating method and 360 degree feedback among others. 360 degree feedback is also called as the multi-rater feedback. It is a process whereby the employee is assessed based on the ideas of many different people, which he or she comes across in the company. These people can be the peers, direct report, customers, managers and suppliers. This survey is being undertaken by these counterparts since they are in a better position to provide valuable insights and information regarding the job performance of the employee. These responses are always conveying anonymously and give the employee a clear picture of his or her greatest overall weaknesses and strengths. 360-degree feedback processes usually obtain data from questionnaires that measure from different perspectives the behaviors of individuals against a list of competencies. In effect, they ask for an evaluation: ‘How well does ___ do ___?’ The competency model may be one developed within the organization or the competency headings may be provided by the supplier of a questionnaire. A typical questionnaire may cover aspects of performance such as leadership, teamwork, communication, organizational skills, decisiveness, drive and adaptability. Ratings – Ratings are given by the generators of the feedback on a scale against each heading. This may refer both to importance and performance, rating the importance of each item on a scale of 1(not important) to 6 (essential), and performance on a scale of 1 (weak in this area) to 6(outstanding). Data processing – Questionnaires are normally processed with the help of software developed within the organization or, most commonly, provided by external suppliers. This enables the data collection and analysis to be completed swiftly, with the minimum of effort and in a way that facilitates graphical as well as numerical presentation. Graphical presentation is preferable as a means of easing the process of assimilating the data. The simplest method is to produce a profile. 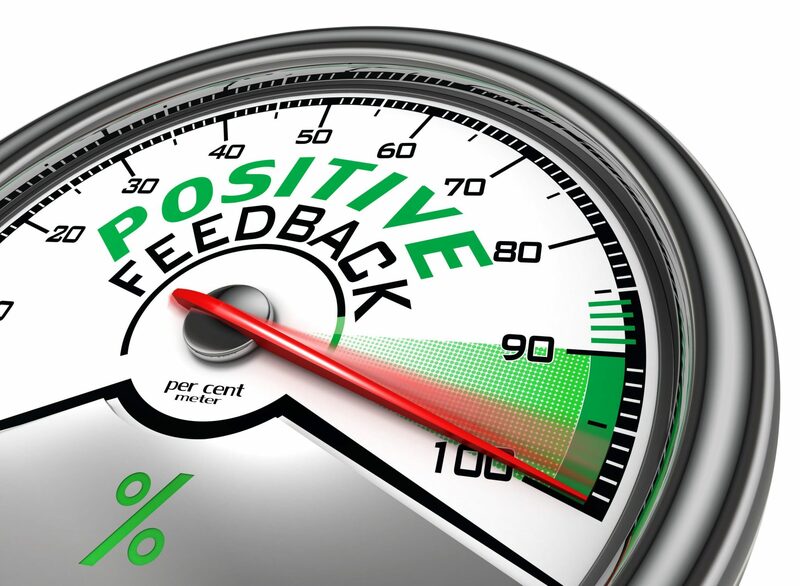 Feedback – The feedback is often anonymous and may be presented to the individual (most commonly), to the individual’s manager (less common) or to both the individual and the manager. Some organizations do not arrange for feedback to be anonymous. Whether or not feedback is anonymous depends on the organization’s culture – the more open the culture, the more likely is the source of feedback to be revealed. Action – The action generated by the feedback will depend on the purposes of the process, i.e. development, appraisal or pay. If the purpose is primarily developmental, the action may be left to individuals as part of their personal development plans, but the planning process may be shared between individuals and their managers if they both have access to the information. Even if the data only go to the individual they can be discussed in a performance review meeting so that joint plans can be made, and there is much to be said for adopting this approach. The 360 degree feedback as said above is a method of performance appraisal and thus it enables the organisation to evaluate its workers from different view points. Its different contributions to the prosperity of an organisation cannot be left aside and these will be explained below. Define corporate competencies – The multi-rater feedback enables the employee to be aware of his performance within the company, that is if he/she is performing according to the company’s goal or mission statement. In addition, this concept enables organisations to be aware of the skills the different employees have and thus they can set up a strategy to meet employees individual goals and boost overall corporate productivity. Increases the focus on customer service – Nowadays, companies focus on both internal and external customers, implementing the 360 degree feedback will allow them to have a better overview of these customers expectations, if they are able to meet them or not and what they should improve. Thus it enables the reinforcement of total quality management. Supports team initiatives – This concept enables companies to understand the working atmosphere prevailing in the organisation so as to take the appropriate measures to reinforce cooperation, mutual respect among employees in order to reach organisational goals. Creates a high-involvement workforce – Being aware of the needs of employees, companies work toward building a trustworthy relationship resulting in the empowerment of their employees. In addition, as employees know that their view points are taken into account, they voluntarily involve themselves more into the organisations’ activities. So this strategy builds up employee moral. Detects barriers to success – This concept allows company to know which ways their leaders are preventing the company from reaching their goals through, for example, the application of outdated methods or by not considering their subordinates’ view points. Therefore the multi-rater feedback enables company to set up training sessions so as to ensure that workers have the required skills. The 360 degree feedback mechanism gets its name from the all-around feedback on competence-based performance. The success of this system relies on how it is designed, how communications are handled regarding the goals of the program, and what is done to support people who have participated once they have gotten their feedback. As such, like any evaluation tool, the 360 degree feedback has common advantages and disadvantages. Organization – The 360 degree feedback benefits the organisation in the fact that it provides an overall view of the performance level of its employees. For instance, it provides the company vital information about the workforce strengths and weaknesses resulting in the business taking the appropriate measures to help enhance employees’ performance. This can be done by developing and providing adequate training. This will in turn result in companies being able to meet or even exceeds customers’ demands, but also develop better relationship with suppliers, shareholders and so on. Therefore, the multi-rater feedback, not only influence the organisation’s overall activity, it also enables it to achieve its goals. Individual Growth – The second advantage that the 360 degree feedback provides is that it allows the individual to know about how he/she is performing within the organisation. From an individual perspective, this strategy enhances self-appraisal, that is, it enables the individual to know about his/her strengths and weaknesses. This provides the worker to know how his work is perceived from different point of view, for instance, from managers, subordinates, suppliers, clients and so on. Hence, it is an enriching experience for the worker to question himself, to see if his performance is coherent with the organisation’s culture, policies and goals. Dishonest Feedback – In his “360 Degree Feedback” article on the site Amazing Results, registered psychologist Roland Nagel points out that one common drawback of 360 degree feedback is that employees may not feel comfortable offering frank opinion of supervisors. This also tends to happen in employee-to-employee evaluations.The inability of being able to present information in an anonymous manner serves as a detractor of the 360 degree feedback since honest and heavy criticism could bring retaliation against the person interviewed. Consistent Interpretation – Another major challenge in the 360-degree feedback process cited by Nagel is the reality that “as each ratter sees a different behavior, how do we know the basis upon which the ratings are observed?” That is, different employees interact in different ways with the person being reviewed – Subordinates observe different behaviors in a supervisor than that supervisor’s same-level colleagues and his managers. Additionally, customers have different views on how an employee is expected behave. While, you can gain insight on perceptions of the employee from all around, acquiring a consistent interpretation of both positive and negative behaviors is challenging. 360 degree feedback uses the feedback of the entourage of an individual (together with the individual included) in determining his performance in the organization. The people assessed have been shown as being highly diverse, ranging from internal sources such as managers, supervisors, colleagues, subordinates to external sources – customers, suppliers, etc. Such a high accumulation of performance data after evaluation has the advantage of showing clearly the strengths and weaknesses of individuals (through consensus of data). This subsequently give rise to the greatest asset of 360 degree feedback – its ability to determine subjective values such as collaborating in teams, having appropriate behaviour in undertaking job task, and qualitative skill such as listening and planning. The above forte will obviously bring forward the main drawbacks of this performance appraisal method: it is unable to give clear assessment in comparison to data, that is, it is impossible to determine by opinion alone, whether an employee has the required skills and/or is demonstrating them; meeting sales quotas, showing up at work, etc. Thus such lacks in determining performance through tangible data prevent the 360 degree feedback to be an independent performance appraisal method to rely upon. BUT 360 degree feedback can remain at the very least a complementary method as it is important to remind that employees are humans which in turn are social beings, and such a factor make that the presence of an employee at work – how well he integrates in the organization, how well he collaborates with his peers, whether he is appreciated at work – will have an impact on his performance. And by assessing an employee’s entourage, it is possible to determine the lacks that needs to be answered for the good development of the employee in the organisation. 360 degree feedback shows that this method gives a way to consider subjective matters – teamwork, personality and behaviors. This may give a way to estimate the employees on the basis of opinion of his entourage: whether they are satisfied of his work or not. But unfortunately this method lacks clearly on the tangible front, that is, it will not be able to determine an employee performance in term of job requirements, attendance and productivity. The advantage of this method is that it give an idea of how well integrated the employee is within the organization. Because many of the more conventional performance appraisal methods have often proved unpopular with those being appraised and evaluator’s alike, 360 degree feedback is gaining popularity with many managers and employees. It offers a new way of addressing the performance issue. When used with consideration and discipline, feedback recipients will feel that they’re being treated fairly. In addition, supervisors will feel the relief of no longer carrying the full burden of assessing subordinate performance. The combined effect of these outcomes should result in increased motivation, which in turn improves performance.